808 DJs = DJ sets by Andy & Darren (a.k.a. Spinmasters). Sun:31:Dec - 808 State DJs - Hacienda night @ Manchester Academy 1. CANCELLED! Fri:29:Dec - 808 DJ Darren Partington - RoboTone night @ Oscars - Dingwall - unconfirmed! Fri:24:Nov - Massonix live - The Warehouse Project - Manchester. Sat:11:Nov - 808 DJ Darren Partington - Liveloud @ The Warehouse Project - Manchester. 03-05:Nov - Graham Massey & Graham Clark - Gong Family Unconvention 2006 - Melkweg - Amsterdam - Netherlands. Fri:18:Aug - 808 DJ Darren Partington - 20's Revolution Code Festival - Seoul - South Korea. Images. Sun:13:Aug - 808 State Live - Bloom Festival - Larmer Tree Gardens - Salisbury. Report & Images. Sat:05:Aug - 808 State DJs - Fusion @ West Indian Centre - Leeds. Fri:21:Jul - 808 State DJs - Aura - Taunton. Sat:24:Jun - 808 State DJs - Air - Tokyo - Japan. Fri:02:Jun - 808 State DJs - Ultrabeatout - Palazzo dei Congressi - Rome - Italy. Sat:13:May - 808 State DJs - Hacienda Hallelujah night - Manchester Academy. Reports. Fri:05:May - Massonix @ Skam party - The Poke @ Jacks - London. Sat:18:Mar - 808 State DJs - Eclipse @ The Junction - Camebridge. Fri:03:Mar - 808 State DJs - The Poke @ Jacks - London. Sat:28:Jan - 808 State feat. 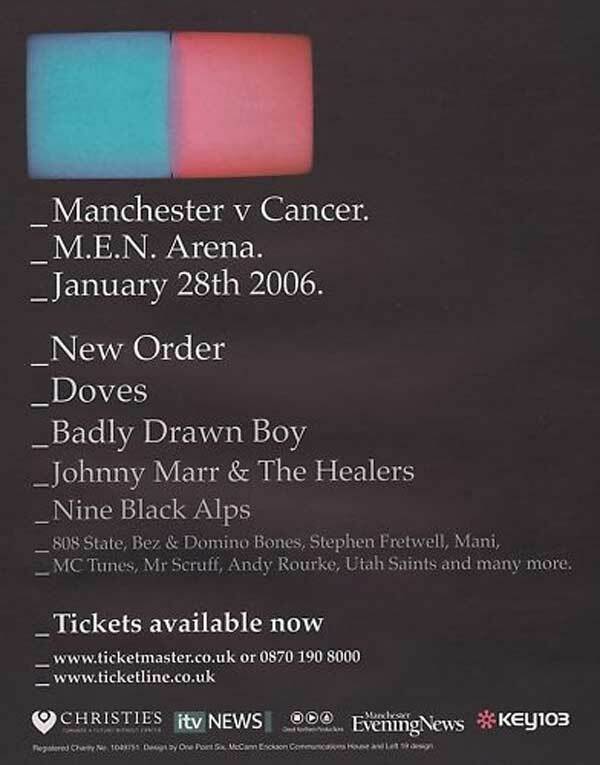 MC Tunes Live - Manchester v Cancer @ M.E.N. Arena - Manchester. Reports and images. More Images. Sat:28:Jan - 808 State DJs - Voodoo vs HazyDayz @ Carling Academy - Liverpool. Fri:27:Jan - DJ Graham Massey - British Art Show - Urbis - Manchester. Images. Fri:27:Jan - 808 State DJs - Dirty Monkeys @ Rocket - Northampton. Sat::21:Jan - 808 State DJs - Electronation @ Effenaar - Eindhoven - Netherlands. Report & images.